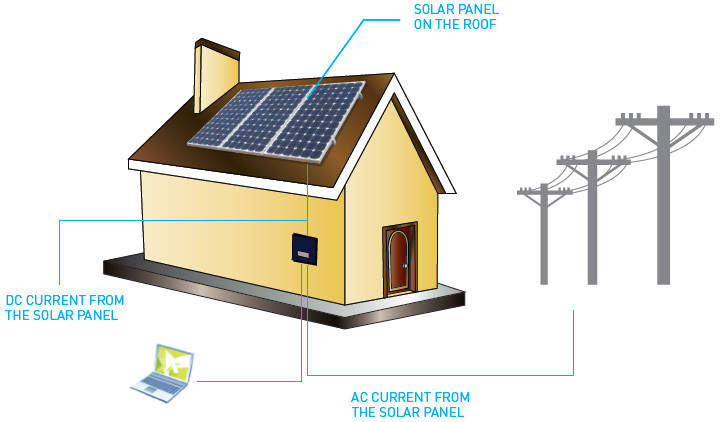 When sunlight hits a solar PV module, direct current (DC) electricity is produced and the inverter changes the current from DC to 240V alternaEng current (AC). This electricity can be used immediately within the home or fed into the National Electricity Grid (grid). The National Electricity Grid is the network of wires that delivers electricity from generators to homes and businesses. When you install a solar PV system you become a generator of clean renewable energy.